Oh toasted coconut, how I love thee. 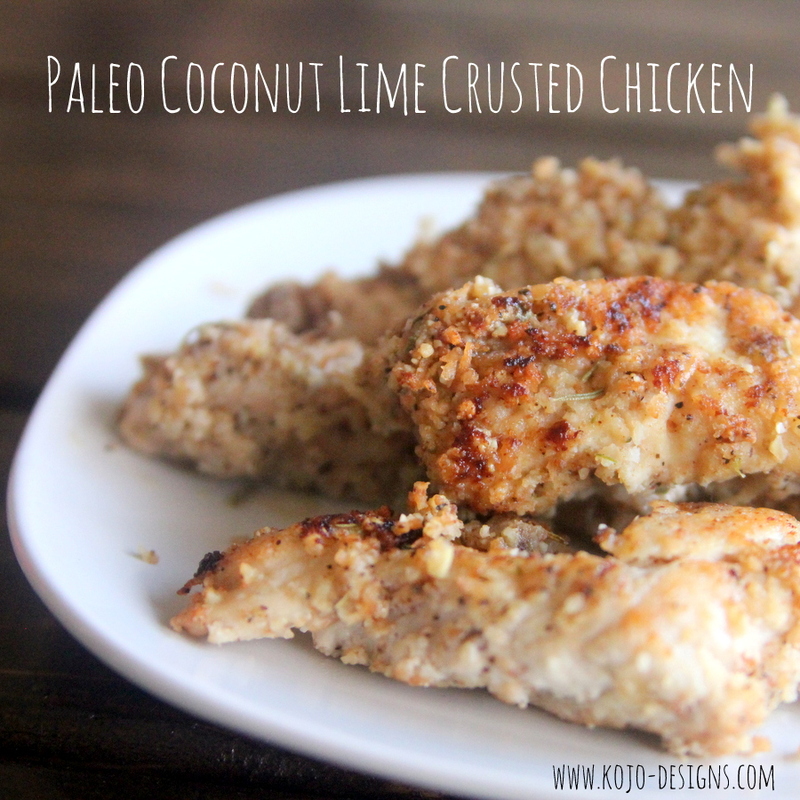 Alone… or on these amazing coconut lime chicken strips… or with crushed macadamia nuts and bananas…. It’s love I tell you. 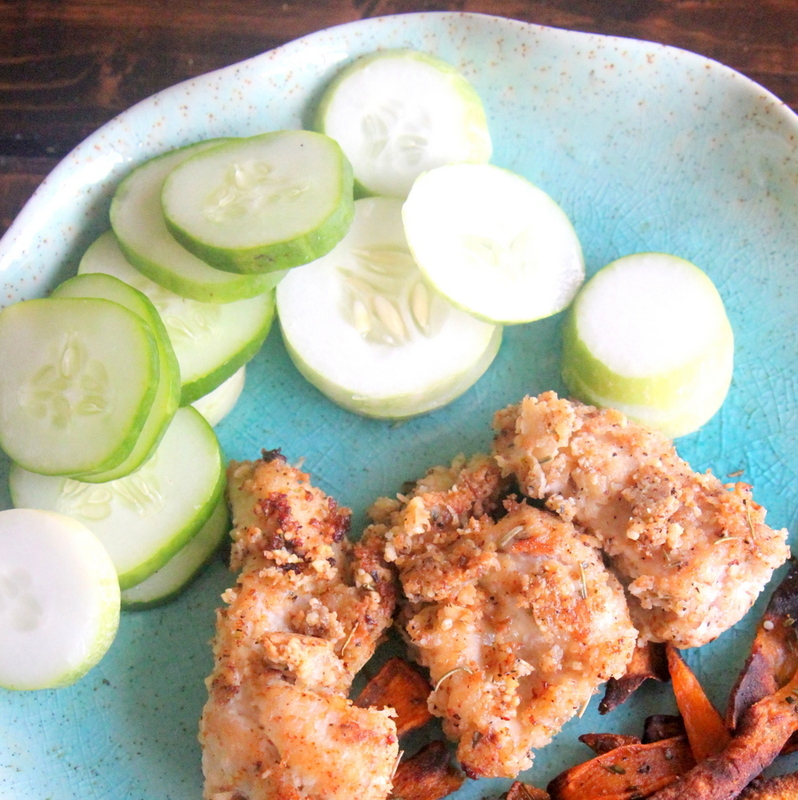 And this recipe for lime and toasted coconut crusted chicken strips (a hybrid of this fried chicken recipe and some lime-coconut chicken strips Jord tried in Oman) is a.maz.ing. Like, whoa baby amazing. 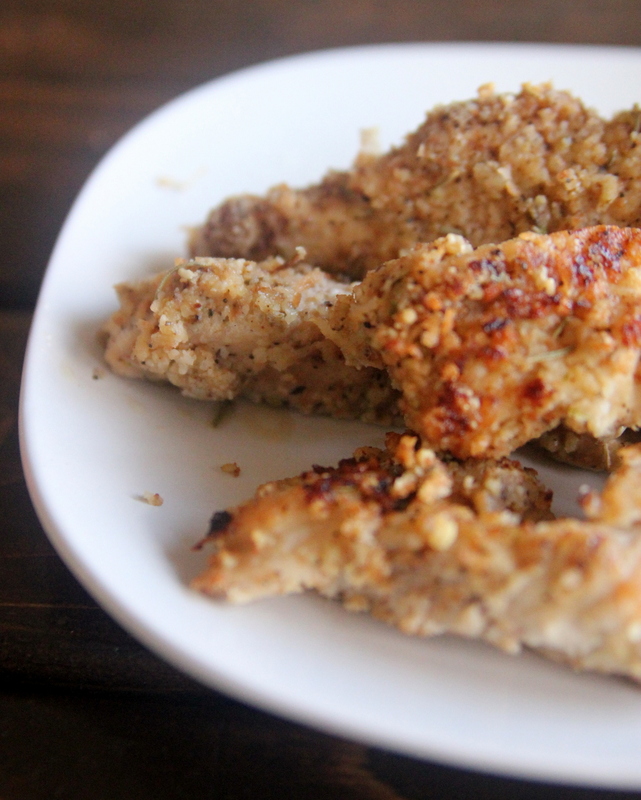 Serve with sweet potato oven fries (maybe burn yours a little less than I did- haha! ), or a yummy salad (or on top of a yummy salad!). I don’t know if there is anything that wouldn’t pair with this chicken! YUM!